You will chase a tall, dark stranger! 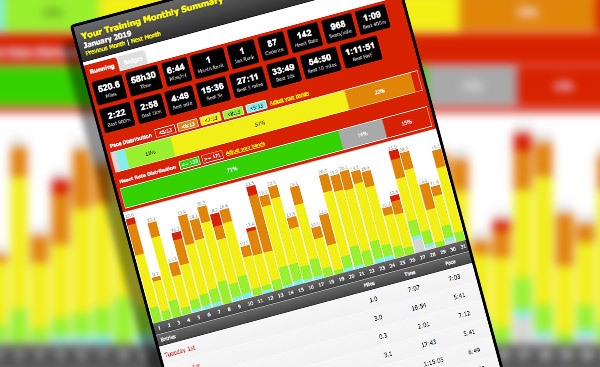 Try the updated version of this article for more insights into marathon training. In case you hadn&apos;t realised, it&apos;s marathon season - and I&apos;m not just talking about the one on the telly - there are at least 30 listed in the Fetch Race Finder this month. And whilst many runners are happy just to complete this challenging distance, there are plenty who are cramming their heads with calculations, extrapolations and dreams of PB glory. Unless you&apos;re the sort of person who turns up to a marathon in tennis shoes and cut-off jeans, you&apos;ve probably got a good idea of the sort of pace you&apos;re able to maintain over longer distances. But until you&apos;ve gone the whole way, it&apos;s hard to know how well you&apos;ll finish. Long runs, fuelling strategies and careful preparation all help, but you&apos;ll find out plenty about yourself in that final six miles. This article came about because I was always bemused by the predictions that I got from pretty much every online "Calculate Your Marathon Time" tool. I ran my best half marathon in 1hr46, and most calculators suggest a corresponding marathon time of 3hrs40. My best attempt is 4hrs15. It was a wonderful experience, but I&apos;ve always wondered where I lost the extra half an hour. I don&apos;t remember stopping for a haircut. My training could have been a bit better – but it made me wonder whether the race time predictors are giving us a realistic view of what we&apos;ll achieve. How many runners set out to achieve those predictions, and end up having an awful race? 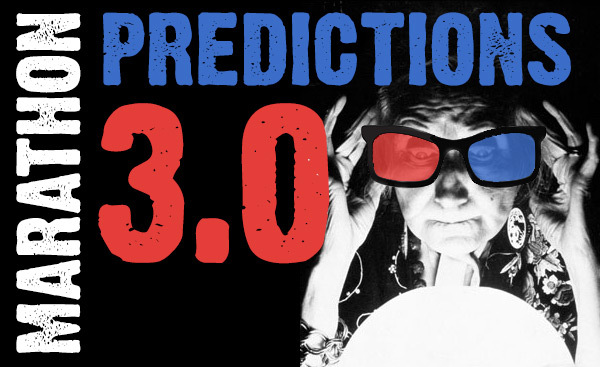 Ultimately, predictions help set our expectations and inform our plans – so it makes sense to ensure they are good ones. 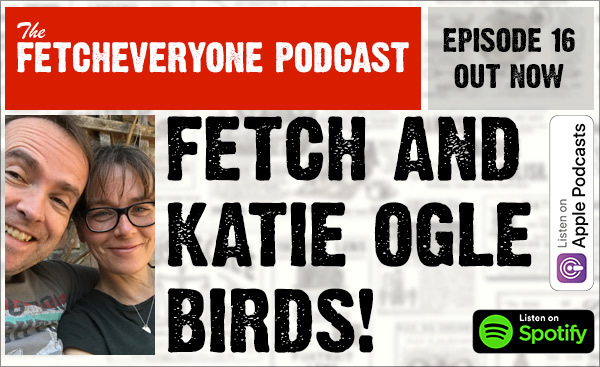 The Fetch database holds over 30,000 marathon and 57,000 half marathon performances – enough to expect to find some sort of relationship between them. There were red herrings of course - like folks who have run a great time at a flat half, then slogged their way around Beachy Head Marathon. But by concentrating on runners who had completed at least five half marathons and five full marathons, I found a core of a thousand runners who (you&apos;d hope) would have recorded a representative time at both distances. They range in ability from five-minute milers all the way down to twelve-minute milers. And there&apos;s that prediction that left me bemused – a whopping 14% quicker than I managed. But am I alone in that feeling of slight implausibility? Well, no – at least not judging by the data. Allowing a generous 5% margin of error (that&apos;s nearly half a minute per mile for a four hour marathoner), this formula got it wrong for 65% of the runners in my data set. Let&apos;s be clear. I&apos;m not saying that there are bad sums at work here. Far from it, I think this is a very adaptable and elegant formula, and I&apos;m sure it was a good fit for the data that was available to Riegel in 1977. I&apos;m in a very fortunate position with access to so much data from runners of all standards. Riegel&apos;s formula is also probably a good fit for those of us willing and able to put EVERYTHING into our training. These days we all have busy lives, what with family and work and telly. What I&apos;m aiming to do is not to invalidate, but to enhance this formula – to make it work for all of us, and to give us something achievable to aim for. Sure, this may even mean that you exceed your targets – but I think that&apos;s better than never reaching them. Take a look back at the formula. The 1.06 is important - it represents the rate at which we slow down as the races we run get longer. If it was a nice round "1", it would mean that we could run a marathon at the same pace we would run a single mile. If it was as high as "2", it would mean that Roger Bannister in his prime would take nearly two days to run a marathon. The higher the number, the more we end up slowing down as distance increases. we see an instant overall improvement. 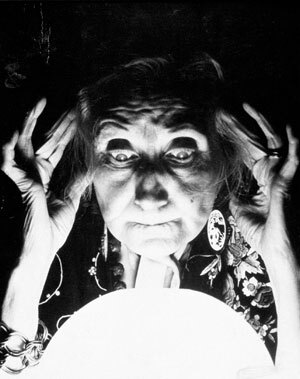 The number of bad predictions drops from 65% to just 27%. But let&apos;s not stop there! We know that faster runners tend to be capable of holding on to their pace for longer. So instead of using a constant 1.15, let&apos;s connect that number to the speed of the runner, using their half marathon time. I also looked at the differences between male and female performances. We all accept that the fastest men generally beat the fastest women, but you might be interested to know that if a man and woman can both run a 90 minute half, the woman is likely to beat the man by nearly four minutes over marathon distance. That difference gets bigger as pace reduces – women capable of two hour half marathons can look forward to beating their male equals by nearly 9 minutes in the marathon. Taking these factors on board, along with plenty of medication, I&apos;ve built a new calculator that will predict your marathon time based on your half marathon. It should predict your time to within 5% in 77 out of a hundred cases. Of course, it&apos;s just a prediction, and within each prediction there&apos;s leeway, and plenty of people who stray from the norm. It&apos;s based on averages, and as a runner you are anything but average. It doesn&apos;t take into account anything that happens on race day, and it doesn&apos;t know anything about how hard or effectively you trained. And therein lies the real secret towards converting a good half marathon time into a great marathon experience. 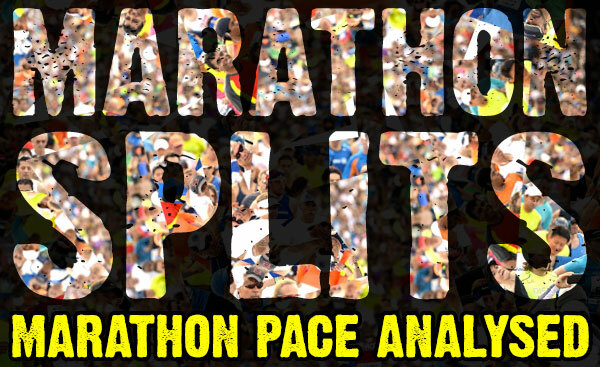 Click here to get a prediction of your marathon time! Great article Ian and great work. Will you be updating the prediction page on training log? Actually did my marathon 6 mins faster than predicted which is giving me a a little glow :-). Fantastic use of the data! Definitely planning to integrate the calculator - and hopefully look at other distances and influential factors too. This is very interesting. As you point out the optimum Riegel number for each individual depends on various factors. Some of these are determined by genes and some by training. Probably the two most important factors are gender and training mileage in the months preceding the marathon. It would be extremely useful if you produced a predictor that takes account of gender and average weekly training mileage in the three months before the marathon. Predicting other distances is also interesting but because preparing for a marathon is such a major under-taking and so much depends on not starting too fast reliable prediction of M from HM is especially valuable. Awesomely accurate based on previous performance. Thanks for this Fetch! Thanks for that. I will use it to predict my marathon time for my first marathon next month. Can you work it backwards too? i.e given last week's marathon can I do a sub-1:30 half yet? You can fudge it - just try typing in 1:29:59 and see if it comes out better or worse than your marathon time. Have you thought about publishing this in an actual journal? It is eerily accurate. My PB of 1:18.50 suggests a 2.45... yesterday London went brilliantly as in absolutely perfect and I got 2:52.47 a 16 minute PB. 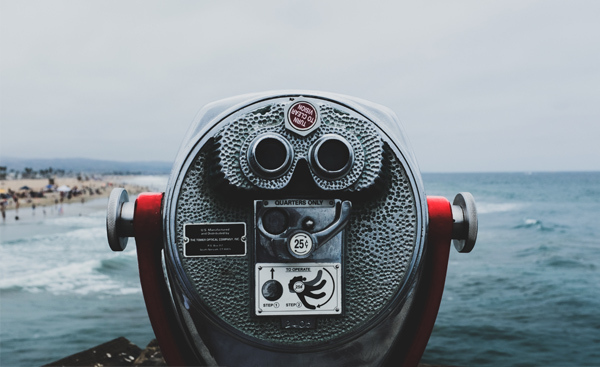 There is a lot to be said for you sharing your methods and data in a scholarly article where it can be seen and referred to in full do it for science! Just to add to my above sorry the reason I'm so impressed is your formula was 40s off which is nothing less than 1% out? My recent 1/2 mara time of 1:25:12 gave a predicted marathon time of 3:08:00. Riegel gives 2:57:38. Actual time was 2:59:00 so I'm a bit of an outlier but considering the marathon was the target race it's probably a bit closer. Apparently I run like a woman If I go back to my PB half of 1:40 RW gives me the optimistic 3:28 you give me 3:47(m)/3:40(w). PB full marathon back then was 3:40. I'd much rather get a prediction that I can beat than one I am unlikely to achieve. I think you're on to something. Did anything ever come of the hill score for routes? Would there be a way of making the predictions even more accurate by having a small adjustment for the relative hill scores of the HM and marathon? Half in 1:35:28 predicting a full in 3:35:06 I did it in 3:36:16 Although I'd like to believe the other prediction that says 3:19:00 Because I can't see myself running a half any quicker!! I saw this pop into my email the day before Manchester Marathon. I was targeting a 3:40 marathon and my last half was 1:44. Greg Macmillan said this was doable and I'd always wondered why my marathon time didn't align with all the other race times. I decided not to test this predictor because i didn't want it to affect my race brain. I'm glad I didn't because I ended up running 3:38. I do agree that for first marathons the usual predictors are a bit off. But I think with a good run of training without setbacks they can be pretty accurate. They're more an optimum - what you could get rather than what you will. LGR - that's a very good time - well done. You'd get a Riegel number of 1.067 for that which is something that only about 5% of the runners achieved. (Just one point - this was based on 'best of five attempts' rather than first marathons.) Undoubtedly you've trained well for your marathon - and some people are more capable of holding onto their pace -but I presume everything went pretty well in training for you? Well done! Thanks. I had a few setbacks in training but overall the most consistent marathon training I've ever managed. I put it down to using the FIRST plan. I'm all evangelical about that thing now. Would be interesting to see how your half marathon time comes down as a result of your sub-4 now and where you are when you get to five of each. Predictor was spot on. I was predicted 5:19 for a marathon and I finished Edinburgh in 5:18. I did stop twice to go to the loo and walked small sections but impressively accurate. Glad I knew that previous Reigel estimate were unrealistic otherwise I would have been gutted aiming for a 4:48 finish and then coming in half an hour later. I found that quite interesting! A couple of days before my first marathon last weekend someone pointed me to the fetch predictor as being the reliable predictor. All of the others were predicting sub 4hour but Fetch said 4:26. i was in dilema as I had been telling everyone i was going to be aimimng for 4 but that I really did not know what I would do. Reading Fetch I compromised and decided to go with the 4:15 pacers half way between predictors. I got to just after 22 miles and then legs said no more running so ended up walking last 4 miles. Ended up 4:35. If I had listened to Fetch and gone with 4:30 pacer I think the 4:26 would have been feasible. never mind i know better for my second Marathon. trust fetch. I popped in my HM time of 1:21.57 in last year's London build up and based on your formula, my predicted time was 2:59.39 when I actually ran 2:58.56. Pretty darn close. I am hoping to prove you wrong this year and get closer to the Riegel formula's prediction saying that but that's taking a hell of a lot of training to do so. Good equation manipulation. Have you thought of improving on Einstein's Unified Quantum Theory? Bob's rule is (2 x HM) + 10 mins. Your formula gives a similar result for me. A good example from RunningBob there of the dangers of using an Elite rule of thumb. Lots of people use the 10 minute run. However, RunningBob is talking about an insanely fast 1:11/2:33. Hmmmmm. Good work Ian. Much 'safer' calculator for most people to be successful. Probably nothing wrong with the Riegel formula, more to do with the majority of Marathon trainees not training correctly and therefore not having the speed endurance required. Yep - see paragraph 9. I always knew that the 'old' formula was rubbish for most mortals. In 2018, it will be interesting to see if this 'newer' formula is more accurate. I'm guessing that it won't be far off. To be honest, the old formula worked better for me. The 'new predictor' suggested I should have run my last marathon at 2:55, based on my HM time but I ran it in 2:48 (vs 2:47 predicted the old way). @jomo_richmond - how many times have you raced at each distance? 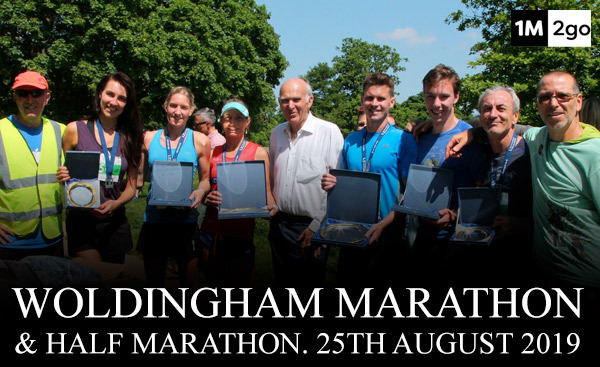 Picture: Getty Images / Archive Holdings Inc.
An out and back course for half and full marathon distance, starting at Woldingham School, and following sections of the North Downs Way and Vanguard Way. Amazing views of Kent and Surrey. A brilliant medal, and a goody bag to be proud of.